The sister of Graciela Martinez, Pricila Cristina Martinez Quezada is married to Santiago Ortega. 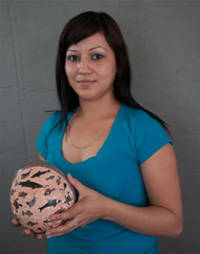 He learned to make pottery from his mother, Yoly Ledezma, then he taught Pricila to make it after they were married. Pricila and Santiago are also now raising two sons. 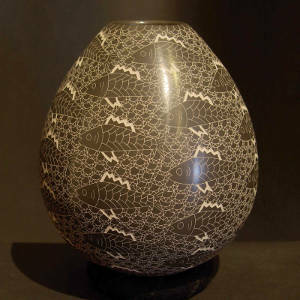 Pricila seems to primarily produce sgraffito designs on her pottery, usually fish and underwater scenes with plants and shells. In 2013 she won a 1st Prize ribbon at the Arizona-Sonora Desert Museum's Women of Mata Ortiz show for one of her sgraffito designs.